Steketee Turf Service is a locally owned and operated lawn care business that has been serving the Grand Rapids, MI area since 1980. We are members of several organizations, including the Michigan Turf Grass Foundation, the Small Business Association of Michigan, and the Michigan Nursery and Landscape Association. We provide a high quality service, as evidenced by our motto: making the grass greener on your side of the fence. Steketee Turf Service offers a variety of different lawn care and lawn maintenance services. We perform lawn aeration, core aeration, lawn fertilizing, and weed control. In addition to those we offer lawn and perimeter pest control services. We employ certified technicians that are capable of handling all of your lawn care and fertilization needs in Grand Rapids. We are locally owned and operated and we like to apply a personal touch to all of our services. When you call on Steketee Turf Service for your lawn maintenance needs, you are calling on true experts. Our programs can be personalized to fit your needs. Call on us to perform your lawn fertilizing services. Lawns need a certain number of nutrients in order to thrive. Most notably, lawns require nitrogen, phosphorous, and potassium. Nitrogen is the most heavily used nutrient for growth and development. It promotes root and shoot growth, density, and a healthy green color. Phosphorous is essential to the photosynthesis process and is important in seed growth. Potassium is the second most-used nutrient by grass, right behind nitrogen. It aids in hardiness and disease resistance, and has a high potential to be lost by leaching. Steketee Turf Service has the knowledge necessary to determine which nutrients your lawn is deficient in so that we can fertilize it properly. 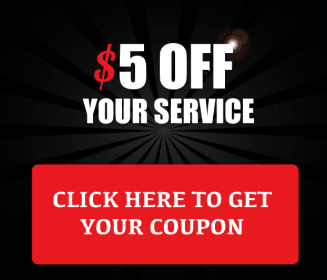 We provide a 5-step program for lawn care. In the early spring, we apply a complete balanced fertilizer with pre-emergent crabgrass control. In late spring, we apply a fertilizer with weed control. In the summer we apply a balanced fertilization that includes spot treatment for weeds. In fall we apply another fertilization and broadleaf weed control. By late fall, your lawn is preparing for winter so we apply a winter dormant feeding that promotes root development and helps your lawn be green sooner next spring. We also do core aeration which involves removing small plugs of grass and soil from the lawn to give the roots room to expand and take in nutrients. Compact soil can make it hard for your lawn to thrive, and that is where core aeration services come in. Crabgrass is a problem, but it doesn’t have to be with Steketee Turf Service. A healthy lawn has more protection against crabgrass as crabgrass needs open spaces to grow and thrive. If your lawn is healthy, it is less likely to have bald patches and is therefore hardier against crabgrass all on its own. Rely on us to make your lawn healthy enough to resist crabgrass and other diseases!